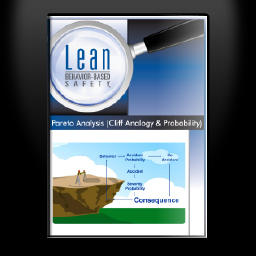 The Cliff Analogy: This analogy contains basic concepts of risk identification, low-probability outcomes, willingness to take risks based on experience, and the difference between reactive and proactive safety interventions. Probability is a factor that masks risks from many workers. This video explains how low-probability risks look ok when they are really not. It does so without criticizing workers for not seeing these hard-to-understand risks and the importance of avoiding them. Pareto Analysis explains fully the concepts and practices of analyzing accident and near-miss data to determine behavioral precautions that will have the greatest impact on accident reduction. The contents contained on this DVD are proprietary and copyrighted. The purchasing company is granted a non-exclusive, non-transferable license agreement for internal use only. The contents may not be used, changed, incorporated into derivative works or shared with any outside parties. The contents may not be duplicated or distributed by electronic media. Violation of any of the proceeding terms will terminate the license agreement.